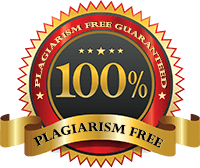 Order an academic essay in a couple of easy steps..
EssayParlour Order an academic essay in a couple of easy steps.. Enter the number of questions you need answers to. At EssayParlour, we write custom academic essays from scratch for our customers. We also provide answers and tutoring to questions and/or assignments. Our writers boast of years of experience, and we pride ourselves on the high standards of quality we maintain, all this while providing the most pocket-friendly prices in the market. Try our writing service for yourself and see the difference for yourself. Enter the order details by filling the form above. This step is the most critical as clear instructions will help the writer to complete the order to your satisfaction. Take your time to fill in the form clearly stating whether there are any resources you would like to use. It is often helpful to provide copy of your class notes, and screenshots from your textbook if any to ensure that the writer matches what your curriculum requires. After filling in the first page, click “Go to step 2” to continue to the next step. During this stage, state the number of pages you would like delivered, and the deadline within which you require the order. You also get the option to choose additional features like ordering a copy of the sources used (if this is required), any chats or power point slides that may be required among many other features. The most important thing to remember at this stage is that the longer your deadline, the cheaper the final cost for the order. Click add to cart, and review the details to ensure everything is how you wanted it. Click on the check out button, and provide some details to allow us to contact you and also to allow you to log in to the system to manage your order process. Pay via the options available and you can now wait for the order to be delivered to you. Once you have completed payment, the order is assigned to the most qualified writer. In case of any clarifications about the order instructions, we will contact you within the first hour of placing the order, so its usually a good idea to check your email frequently. In addition, we send daily updates regarding the order status, but you can specify if you want more frequent updates. Once the order is completed, we will send the complete paper to you via email, or you can log in to your client panel to download it. You are free to request as many revisions as you wish to ensure the paper meets your requirements. 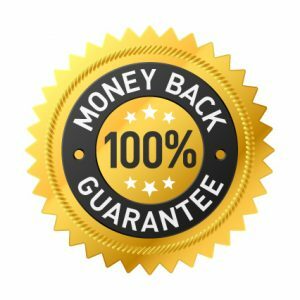 We offer a money back guarantee, and strive to ensure we meet the highest quality standards so that you only get the best.